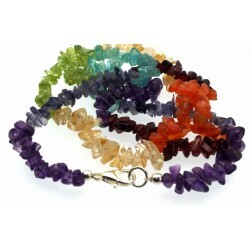 A beautiful chakra balancing necklace made from an assortment of genuine gemstones which all relate to the Chakra system. 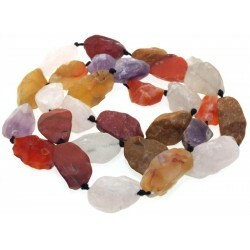 The necklace is 36 Inch (900mm) in length approx. 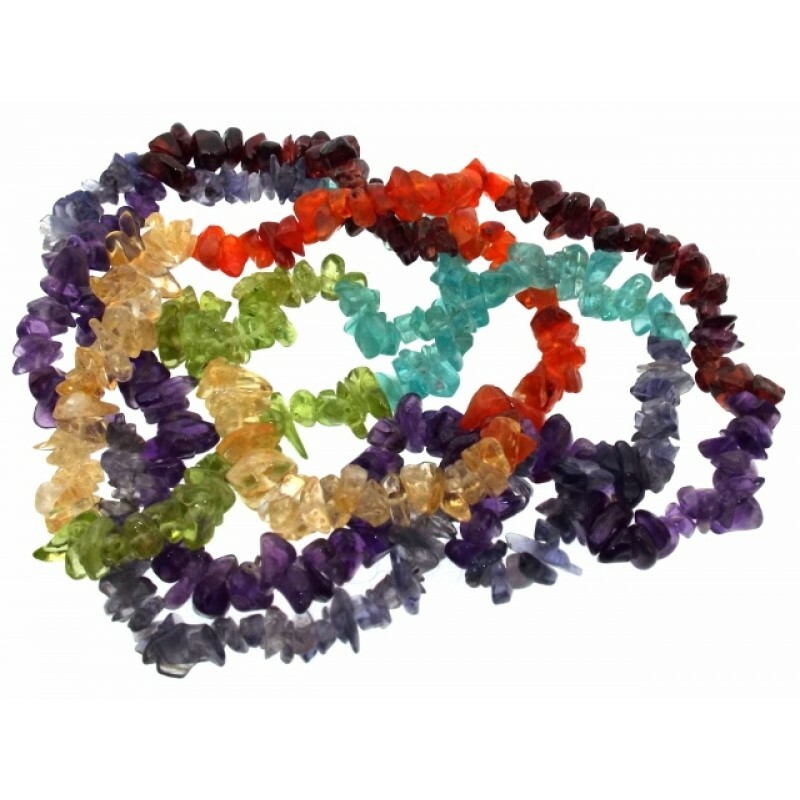 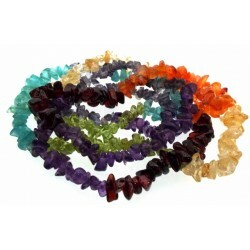 On this necklace you have Garnet, Carnelian, Citrine, Peridot, Blue Topaz, Iolite and Amethyst. 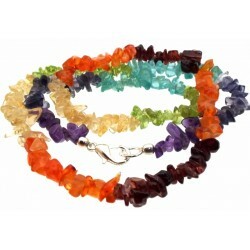 Supplied with an A5 Chakra information flyer.